See how you can take traditional, text based documentation and turn it into something visual in just a couple of minutes. 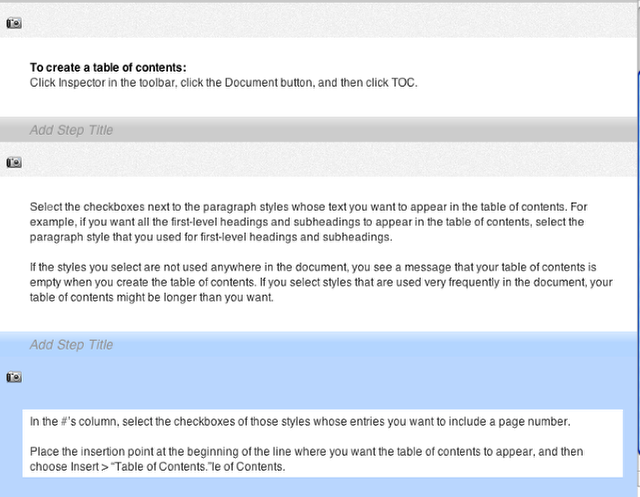 Here is some documentation for Apple's Pages application. We are going to transform this into a visual tutorial. First, copy the text from the original lesson. 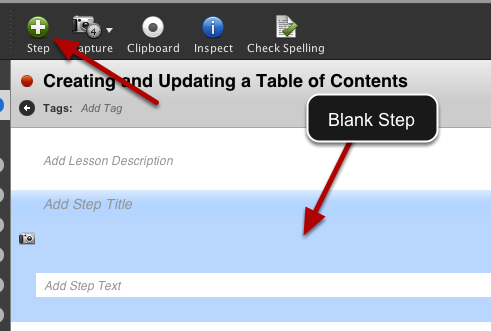 Create an new lesson in ScreenSteps and give it a title. 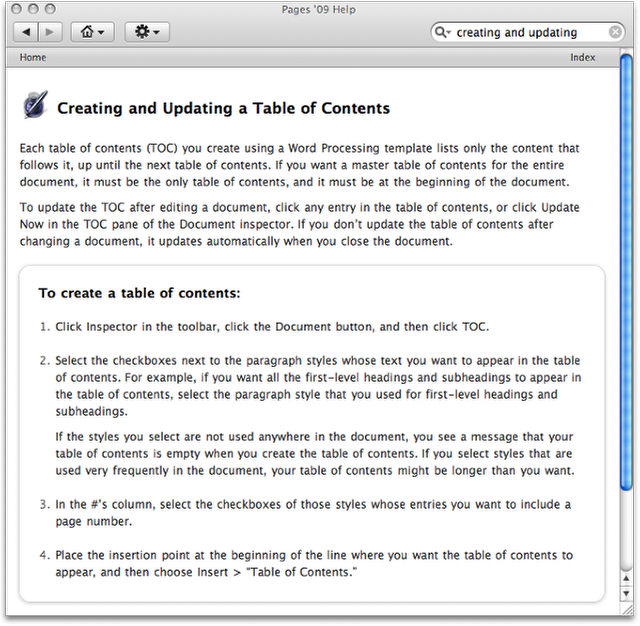 Paste the text from the original document into the step. 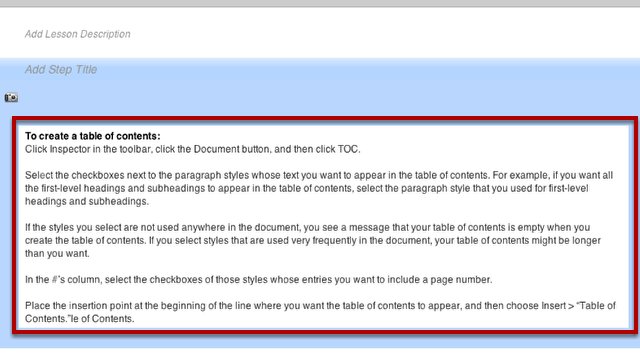 The problem here is that we have text that describes four steps pasted into a single ScreenSteps step. So, we are just going to split it. Here I have placed the cursor at the end of the first step. 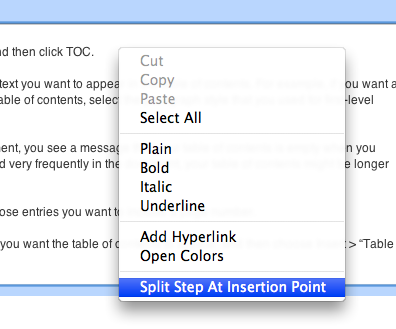 Right click (or ctrl-click on Mac) and select Split Step At Insertion Point. The step will be split wherever you have placed the cursor. Here I have split each list item into its own step. 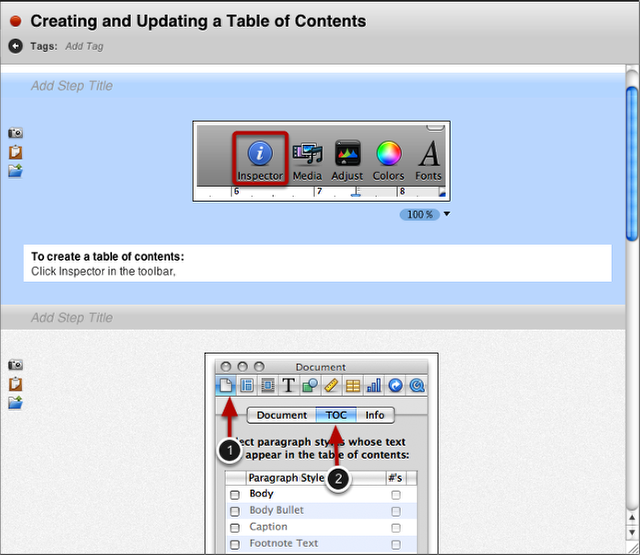 Click on the Replace Step Image icon and capture an image for that step. Here you can see that I have added an image. Now, reading through the text I can see that they actually combined three steps into one. So I will split it up a bit more. Here you can see that I split the instructions mid-sentence. 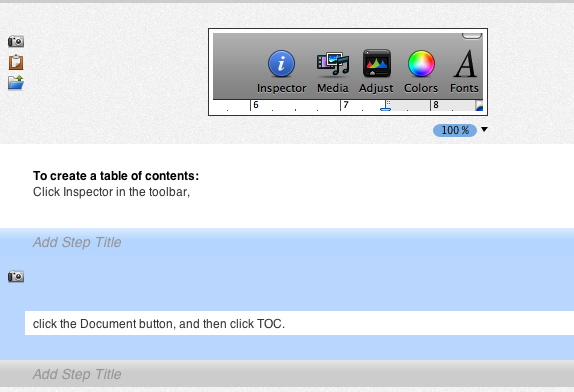 Add annotations and step titles. I also reformatted the original text. All in all it took me about 5 minutes.